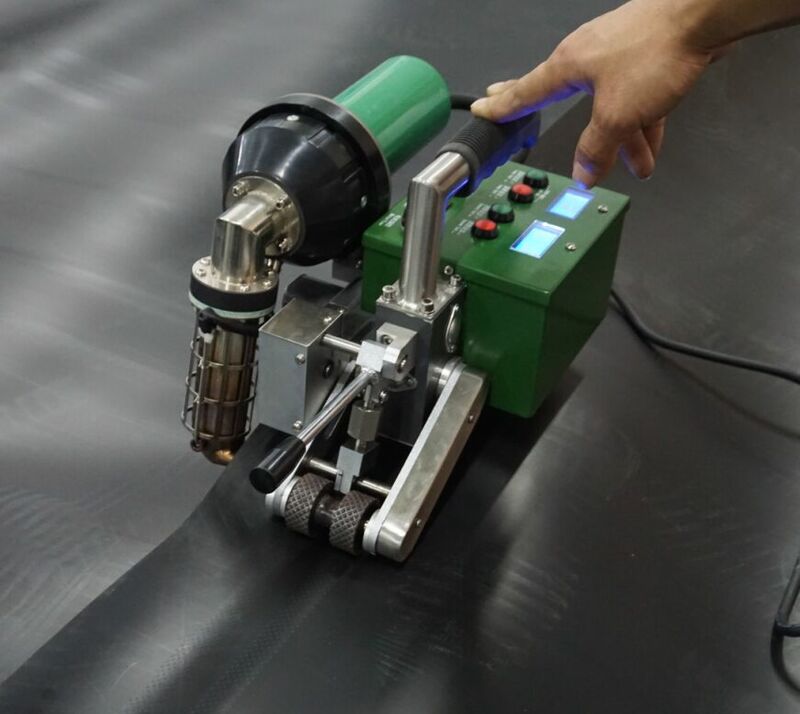 SWT-NS700 Geomembrane Welding Hot Wedge, Extrusion Welding Welder,PVC Geomembrane Welding welds 0.5mm-2.0mm thickness membrane. which is adopts advanced hot wedge strcuture.Hdpe Geomembrane Welder With its high power,high speed and pressure.This Geomembrane Welder & Automatic Geomembrane Welding Machine Pvc Geomembrane Welding Machine is specially desgined for water conservancy,aquaculture,landfills,chemical mining,sewage treatment,roof constructions and other waterproofing projects. 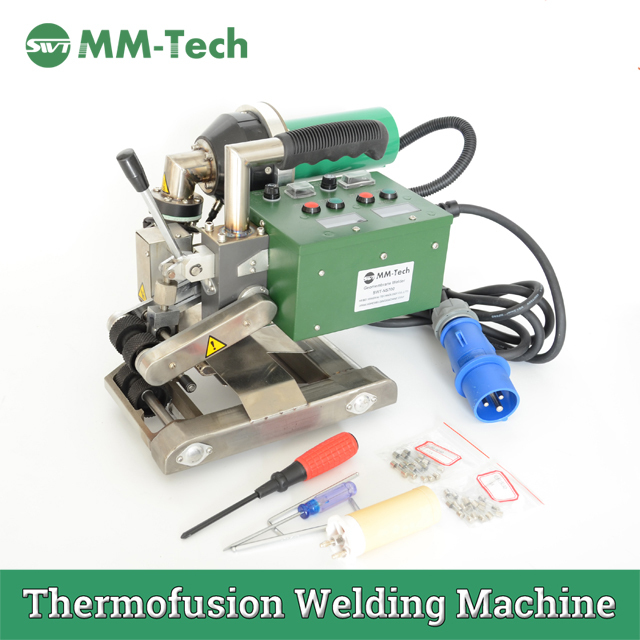 SWT-NS700 PVC Geomembrane Wedge Welding with stepless adjustable temperature and drive. 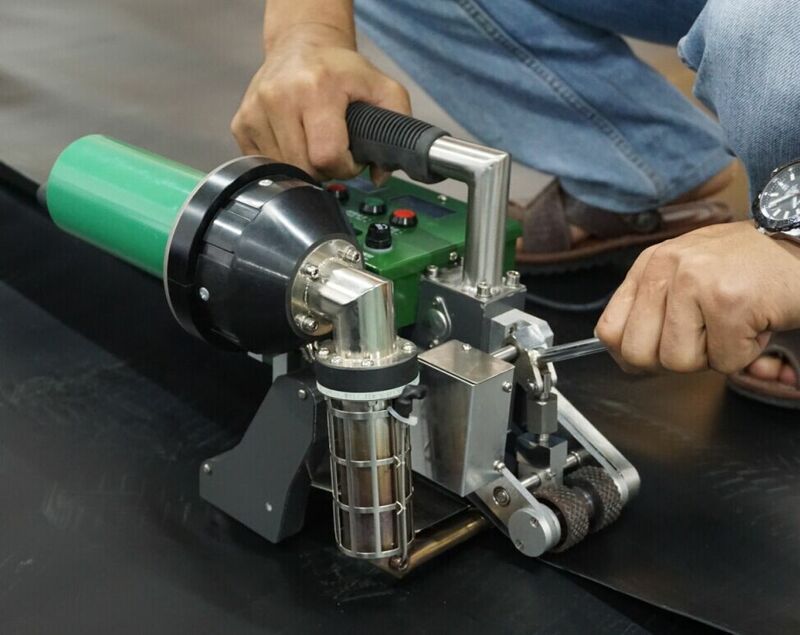 Hot Wedge Geomembrane Welder is an CNC Hot Wedge Welding Machine for overlap welding and manufacturing of films and geomembrane liners in tunnels as well as earthwork and civil engineering. The heat is transmitted by using the best combination of contact and hot air. Especially well-suited for overhead welding in install geomebrane, civil engineering, tunnel engineering. 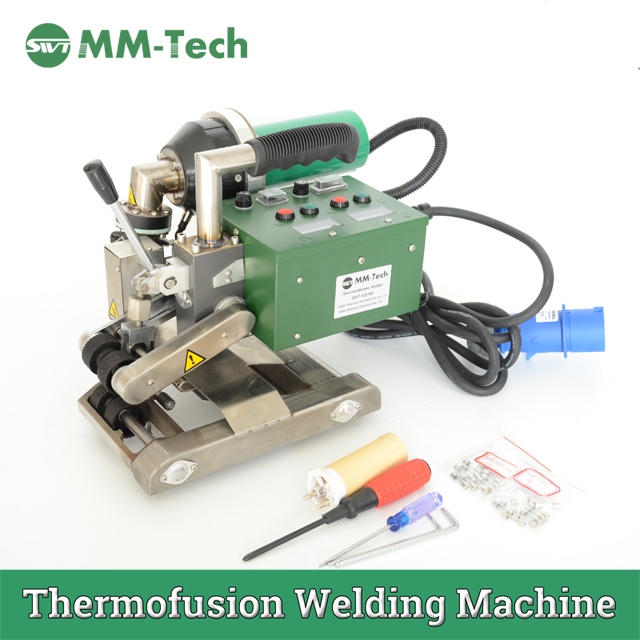 Achieves perfect welding results, even under harsh environmental conditions, thanks to its hot air system.